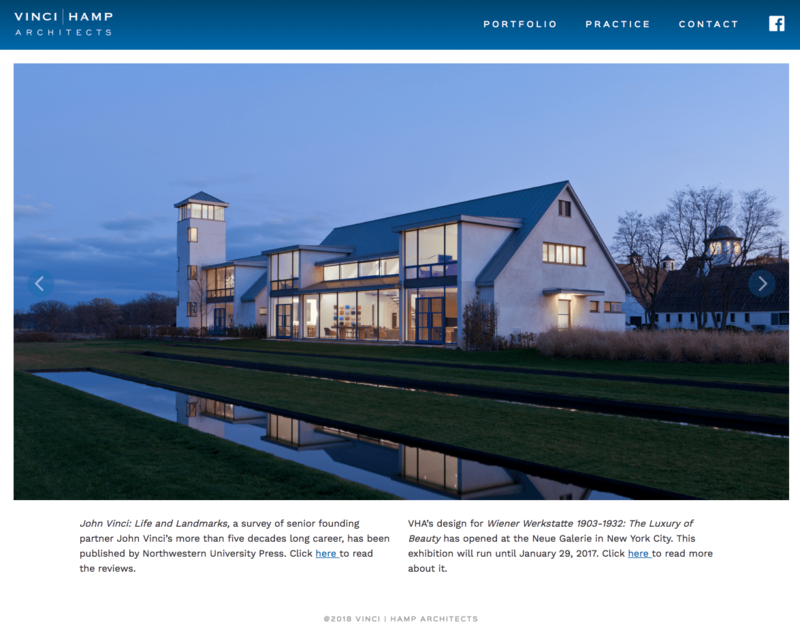 Vinci Hamp Architects (VHA) is an architecture firm committed to the improvement of the built environment through the preservation of historic buildings and the design of new buildings of the highest quality. I worked with VHA to create a new portfolio site that allows them to present their work as narratives. 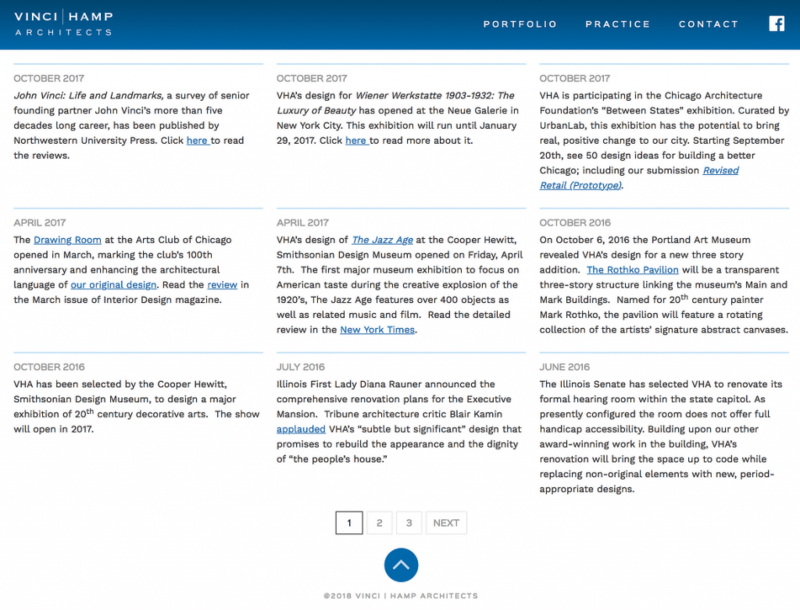 They wanted to present their work in a format that allowed the evolution of the work to unfold. I employed a series of tools that allow the VHA team to create editorial-style layouts, intertwining photographs, text, and drawings. 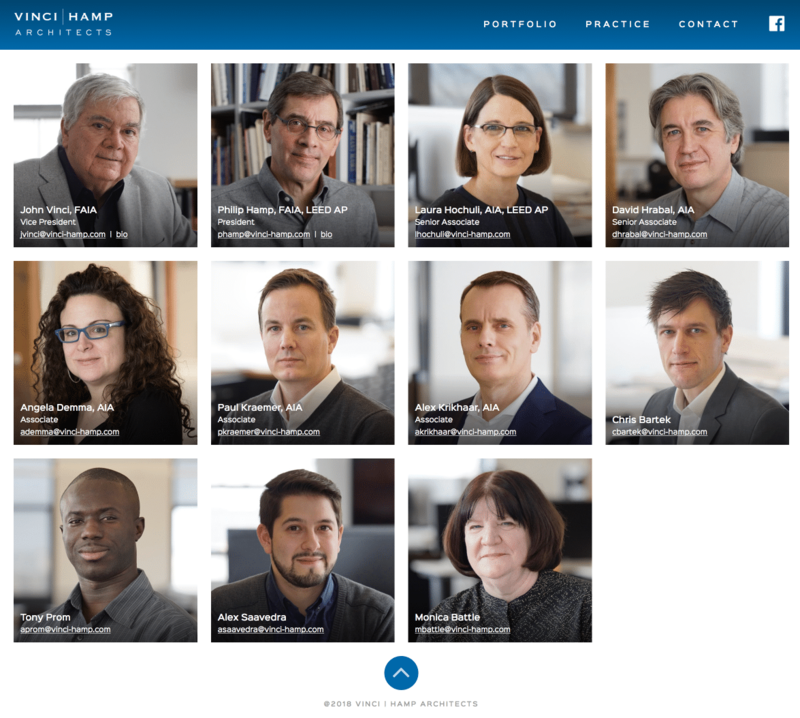 The result is a portfolio of work that allows deeper insight into how the VHA team accomplishes their award-winning designs.